Things are busy in our Franklin, MA office. We are working on our new Live Your Dream® catalogue and getting ready for the upcoming season. We’ll launch it with a party for our owners, partners, and clients on December 7 at the gorgeous 5 star Le Barthélemy Hotel & Spa. There’ll be much to celebrate – our beloved St. Barth’s triumphant comeback and (drum roll please) St. Barth Properties’ 30th Anniversary! If you are staying in one of our villas or hotels, we’d love to have you join us. Remember, Value Season pricing will still be in effect, and there are so many lovely options to choose from. P.S. Please take a minute to subscribe to my blog – Peg’s Blog – for all the latest island news. Dates have been set for this year’s Gourmet Festival: November 1-4, 2018. Once again, six acclaimed chefs will arrive from France and will be hosted by some of the island’s top restaurants. This year’s venues will include Le Toiny, Christopher, Nikki Beach, Bonito, Tamarin and Le Barthélemy. Ancillary activities are being planned now. More details to come soon. We are pleased to partner with Le Barthélemy Hotel & Spa to offer our clients some special perks and privileges. Make a seaside breakfast or lunch reservation (through our concierge) and enjoy the complimentary use of lounge chairs – before or after, on the beach or by the pool. Your breakfast bill will be €35.00 instead of €45.00, and if you visit for lunch you’ll be offered a complimentary apéritif of your choice. At the spa you have your choice of a 10% discount on services or 30 extra minutes for your treatment (excluding La Mer Facials). Dinner reservations booked through our concierge begin with a complimentary glass of Champagne or an apéritif. 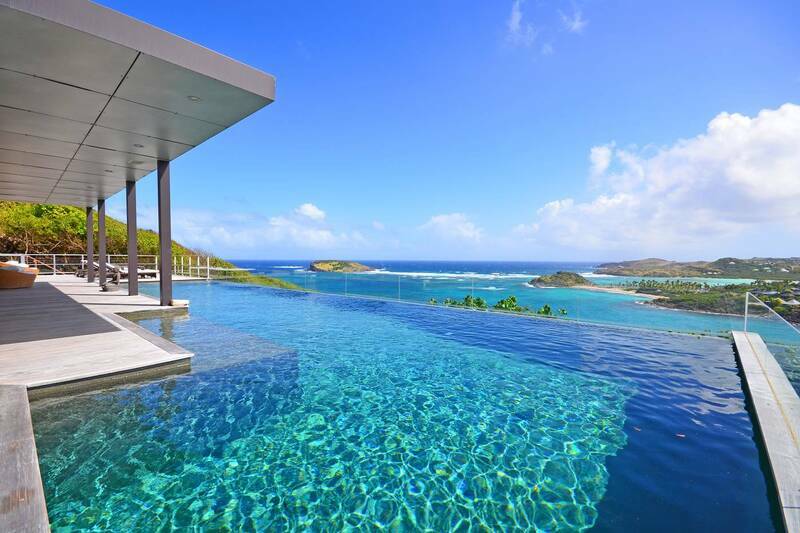 These offers are exclusive to St. Barth Properties’ clients. Your Welcome Package will include a personalized VIP card, which is to be presented to the hotel staff to secure the perks and discounts. We say pack a towel and let us do the rest. Choose your beach and then contact our concierge team to arrange for chairs, an umbrella and a gourmet lunch, complete with a bottle of rosé, to be delivered at the time of your choice. Our concierge will provide all the details and options. We are happy to announce that one of the island’s most popular restaurants – Santa Fé – reopened last month. Extensive post-Irma renovations have left this hillside eatery better than ever, and oh, those views and breezes. Their annual closing began August 25 and they will reopen for the season around October 20. We can’t wait. Read all about it in Peg’s Blog. Dreaming of celebrating the holidays in St. Barth? It’s not a moment too soon to book your villa and make plans for the festive season. Take a look at the current availability and contact one of our villa specialists, who will be delighted to help. Located in the exclusive gated community of Mont Jean, the five bedroom Villa O My is an exceptional property boasting stunning views of Tortue Island and Marigot Bay. A sleek kitchen is located a few steps above a dining area that flows into a spacious, air-conditioned living room. Five en suite bedrooms include two spacious master suites with sea views. One is off the living area; the other is in a separate pavilion. Two additional bedrooms with views of the sea are behind the villa’s courtyard. The fifth en suite bedroom, located at the rear of the main building, has a garden view. A spectacular heated infinity pool – it appears to merge with the sea – is the focal point of the expansive outdoor living space featuring a BBQ and a covered dining area. An air-conditioned fitness room has a striking view. WOW! What a wonderful time we had on the island. The St. Barth Properties team was a BIG part of the reason! We truly felt like VIPs. And thanks, Allegra, for all the work you did ahead of time to get our trip started!